Swabian revolutionary Ernst Elsenhans was shot at fortress Rastatt on this date in 1849 for his role in the revolutions of 1848-49. Elsenhans — that’s a German link, which is the case for almost everything readily available about this gentleman — was a democratic journalist who was already serving a prison sentence for inciting treason in the Baden installation of Germany’s 1848 revolutions when he was liberated by the May 1849 republican recrudescence. He of course went right back to inciting treason, as secretary to the revolutionary government’s War Ministry for its short interim before Prussian boots stamped out the rebellion. 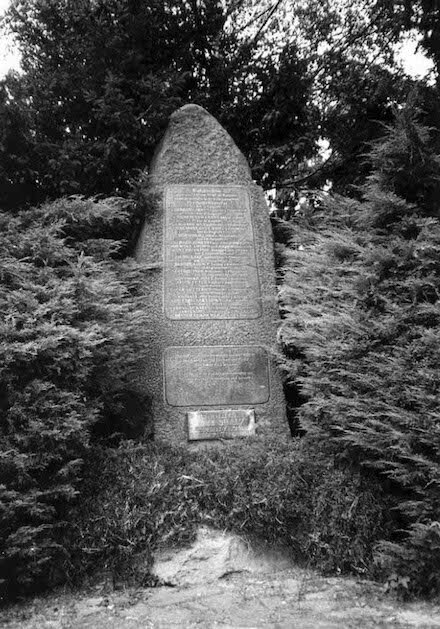 Elsenhans and other revolutionaries shot in the course of this suppression are honored at a memorial slab unveiled for the sesquicentennial of their martyrdoms. German speakers can peruse editions of the Fortress Messenger published by Elsenhans in July 1849 here. The trial in the case of Andrew Tyler, convicted and sentenced to die, at the late term of the Supreme Court held in Williams county, as accesory [sic] to one of the most wanton and singular murders of which the records of depravity and crime presents an example. From the evidence given on the trial, as well as the confessions of Heckerthorn, the principal, (who awaits his trial in November next,) it appears that Heckerthorn was desirous of learning the art of fortune telling, and that as the initiatory step, Tyler persuaded him to kill Scamp’s child, and hide the body, designing then to leave the country together, and after some months return and get a reward for finding the body of the child, and thus establish a reputation as fortune tellers, by which they would be enabled to make a great deal of money. Horrible Account of a legalized murder in Williams county, Ohio, which took place on Friday week. If we are at times put to the blush for the crimes of our fellow-beings, we are as often shocked at the barbaraties [sic] of our race, who to retaliate for one crime commit another, no less offensive in the sight of God and man. We refer to the barbarous custom of strangling a man to death in cold blood for certain crimes which twelve men believe he has committed. About one o’clock, P.M. the prisoner was conducted on to the scaffold, accompanied by Rev. R.R. 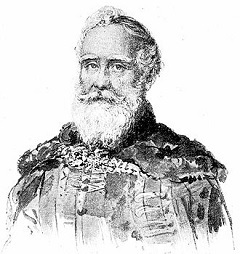 Walters, who, after the prisoner had taken his seat, delivered some very appropriate remarks from Acts, chap. 5th, verses 2nd, and 3d — a text selected by the prisoner. A hymn was sung and prayer offered by Rev. Mr. Walters. The prisoner then made a brief address to the assembly. He asserted his innocence in the strongest terms — declaring that he had nothing to do with the perpetration of the crime, for which he was to be executed. He said he had no anxiety to live — but felt prepared and desired to depart and dwell with his Saviour. At the close of his remarks, he knelt down, and spent a few moments in audible prayer. He prayed for support in the terrible scene upon which he was immediately to enter — for the forgiveness of all who had sought his hurt, and that he and they might meet in a happier world. At a quarter past two, the Sheriff adjusted the rope, which was already around the prisoner’s neck, drew the cap over his face, and bade him adieu. He then descended the stairs, and as he went down, touched the spring with his foot, and the drop fell. Here followed a scene, which was for a moment, shocking to all beholders — almost beyond description. To set the matter in its true light, it should be mentioned that Tyler had at all times insisted that he should be executed without any slack of rope. Willing to gratify him so far as duty would permit, and in accordance with this oft-repeated and urgent request, the Sheriff gave him at first only about one foot of slack. The instant the drop was sprung, the prisoner slightly crouched his body; by this means the hoose slipped around, bringing the knot immediately under the chin, in such a position that with his short fall it did not tighten at all, consequently he was merely suspended by the neck. Probably his first slight fall suspended sensation and respiration temporarily for he hung quietly for a time; but this suspension was only temporary, and it is certain that nothing like strangulation was produced. He soon recovered his breath, and commenced groaning and struggling as if suffering excruciating torture. The spectacle at this moment was too revolting to witness; we noticed many who had thought and said, that they could look on his expiring agonies with a hearty good will, who turned away from the sight with blanched cheeks and looks of commiseration. The Sheriff, probably somewhat overcome by the fearful duty he had attempted to discharge, did not immediately after springing the drop go around to see the true condition of affairs. On learning the situation of the prisoner, he promptly ordered the scaffold raised, and no sooner was this done than he was upon it, and taking Tyler by the hand directed him to stand on his feet, which he was able to do without assistance. Aided by Gen. Gilson, the Sheriff then proceeded to lengthen the rope, giving it about four feet additional slack. Tyler still fervently begged them to shorten instead of lengthening it, but he was told that his wishes could no longer be regarded. Again the drop was sprung, and Andrew F. Tyler was launched into eternity. He scarcely struggled after the second fall — after about thirty minutes, his body was taken down, placed in the coffin and carried back to an upper room of the jail. A man named Andrew F. Tyler, convicted of murder, was hung recently at Bryant [sic], in Williams county, Ohio. The Dayton Transcript states that the Sheriff had built a high wood fence around the jail yard, in order to have the execution as private as possible, but the populace were so eager to witness the spectacle, they tore down the fence the night previous. 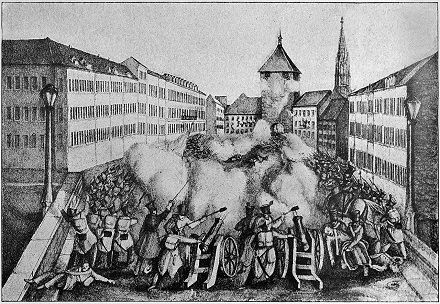 On this date in 1849, the German revolutionary Friedrich Neff was shot at Freiburg. 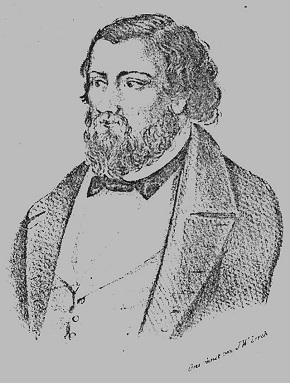 A law and philosophy student, Neff had been one of the firebrands of the Baden incarnation of Germany’s 1848 Revolutions. These stirrings for political liberalization and national unification in the loose 19th century German Confederation, which comprised dozens of duchies and principalities left over from the dissolved Holy Roman Empire, were just the sort of thing to inspire student radicals like Neff. Neff‘s Heidelberg was an initial center of the movement, led by Friedrich Hecker* and Gustav Struve. (All links in this sentence are German Wikipedia pages.) Though Hecker and Struve were established lawyers who most certainly had something to lose, they led rebel guerrillas into the field against the troops dispatched to crush the republican stirrings. They didn’t have much success, but it’s the thought that counts. On September 21, 1848, Struve unavailingly proclaimed a German Republic in Baden, an event that is known as the Struve-Putsch and whose defeat four days later closes the first chapter of the 1848 revolutions (at least in Baden). As a Struve-Putsch supporter (and an open advocate of political violence even before that), Neff had been obliged to flee to Switzerland and onward to Paris. That positioned him perfectly when the 1848 revolution scheduled an 1849 comeback to be the man to muster a legion of Baden exiles who would attempt to topple the duchy. 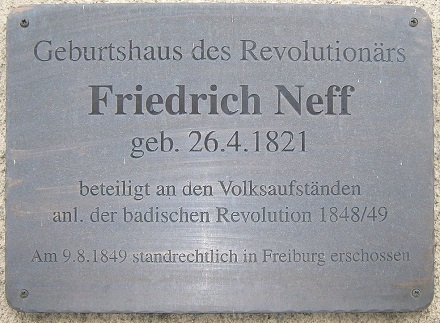 Neff is a hero to social democrat types in present-day Germany, and there are public monuments him — like this plaque marking his birthplace in Rümmingen. (cc) image from Erik Vogelpohl. * Haberdashers might be familiar with the Heckerhut, a wide-brimmed, high-peaked hat popularized by Friedrich Hecker. America’s national debate over abolishing slavery in the decades leading up to the Civil War is well-known. Not as well remembered is a different group of “abolitionists” — for death penalty foes, too, took this name,* and mounted a vigorous challenge against capital punishment, too. In no country is criminal justice administered with more mildness than in the United States. 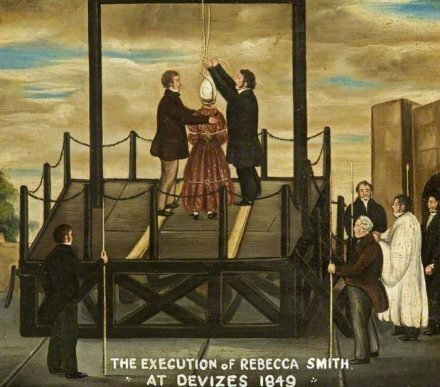 Whilst the English seem disposed carefully to retain the bloody traces of the dark ages in their penal legislation, the Americans have almost expunged capital punishment from their codes. North America is, I think, the only one country upon earth in which the life of no one citizen has been taken for a political offence in the course of the last fifty years. A grave question has been started, wheter it would be safe to abolish altogether the punishment of Death. An increasing tenderness for human life is one of the most decided characteristics of the civilization of the day, and should in every proper way be cherished. Whether it can, with safety to the community, be carried so far, as t permit the punishment of death to be entirely dispensed with, is a question not yet decided by philanthropists and legislators. It may deserve your consideration, whether this interestion question cannot be brought to the test of the sure teacher, — experience. An experiment, instituted and pursued for a sufficient length of time, might settle it on the side of mercy. Such a decision would be matter of cordial congratulation. Should a contrary result ensue, it would probably reconcile the public mind to the continued infliction of capital punishment, as a necessary evil. Rantoul (and Edwards) had to settle for an 1839 law removing burglary and highway robbery from the ranks of potential capital crimes. Washington Goode‘s execution on May 25, 1849 for the murder of a fellow sailor over a romantic rivalry. While philanthropists and legislators debated the merits of the rope in those years, Goode grew up at sea. There was a woman he called on when he made port in Boston, one Mary Ann Williams — married to someone else but kept by no man, Washington Goode included. In 1848, Goode discovered in his lover’s boudoir a handkerchief given her by another seaman and soon enough started stewing over it. According to the circumstantial case that Goode’s jury ultimately accepted, he went out the next night, packing a wicked sheath knife and openly boasting to drinking buddies of his imminent revenge upon that Thomas Harding. Later that night, the two rivals (plus Williams) all managed to run into each other in the same joint. Goode and Harding crossed words, then left that place one after another. Half an hour later, Harding had a sheath knife between his ribs. Nobody had actually seen it happened, but the identity of the murderer appeared self-evident. Boston’s death penalty abolitionists mounted a furious clemency campaign, and again the arguments strike a familiar tone for present-day readers: the fallibility of the justice system (Goode maintained his innocence all the way to the gallows); the prospect that, were Goode indeed guilty, alcohol and passion had clouded his mind; and the manifest disproportionality between the extreme penalty that just so happened to be handed down to a poor black workingman when more atrocious crimes by better-connected Bostonians had lately merited far more lenient treatment. Thousands subscribed to petition, like this one, demanding mercy. Henry David Thoreau and Ralph Waldo Emerson fought to save Goode from the gallows. But the Commonwealth was not moved. Despairing, Goode slashed his veins during the night preceding the hanging in a vain bid for suicide. He would be hanged that day — after a physician stanched the bleeding and patched him so that Goode could die properly — seated in a chair. The fall broke his neck, and purpled some prose into the bargain. The scene is past. A more fearful tragedy has never been enacted in our city. A more disgraceful scene never occured in any country. A stain has been made upon Massachusetts that ages can never wash away. Ostensibly “private”, the jailyard hanging was readily visible from surrounding windows and rooftops in the neighborhood. Some shops in the vicinity even shut up their doors in protest, and hung up placards to make sure those arriving for a rented overlooking window knew it. But the first abolitionist era was even now giving way to the rising section tension about to tear the country apart. Even people who cared deeply about the death penalty usually cared moreso about slavery … and the stain of Washington Goode’s hanging would be blotted out by the far bloodier years to come. ** Wisconsin and Rhode Island both followed Michigan’s lead. None of those three states has conducted an execution since the mid-19th century, although Rhode Island did put never-used death penalty statutes back on its books for most of the 20th century. † According to the Espy file‘s survey of historical U.S. executions. ‡ Terrill was acquitted by his jury in two separate death penalty trials — one for the murder, one for the arson. The verdicts were commonly believed to be acts of nullification by juries unwilling to sully their consciences with a death sentence. (Terrill’s barristers resorted to the embarrassing somnabulism defense.) “We infer that no person will hereafter be convicted of murder in the courts of Massachusetts,” the Boston Courier editorialized. “There is prevalent in society such a feeling of horror [about capital punishment] … jurors will not hesitate to acquit.” But after Terrill, backlash against the verdicts inverted the horror — since it now appeared that the tender scruples of jurymen proposed to hand villains carte blanche. A number of comment threads on this site attest that many accidental visitors to Executed Today are genealogy researchers turning up information about a famous ancestor. The Internet age is a true renaissance for genealogists; while it’s not this blog’s specific objective, it’s a happy side effect if we throw the odd ray of light on the very odd bits of a family’s history. It’s in that spirit that we present this date’s profile of Elisha Reese, hanged before a reported 5,000 spectators on September 7, 1849 just outside the city limits of Macon, Ga.
As with many crimes, it was the news on everyone’s lips in its own day, but then passed rather quickly into obscurity. Elisha Reese, age 50, was rejected in his marriage suit by 60-year-old widow Ellen Pratt. The nature of their relationship is not known, but Reese took this badly enough that Ellen’s father, 90-year-old Revolutionary War veteran David Gurganus, swore out a peace warrant against his would-be son-in-law … and then Reese took the existence of this peace warrant with a downright vengeful fury. For what happened next, click on through to the proper genealogist — and Gurganus descendant — who has researched this story already and posted it as a three-parter on her site, A Southern Sleuth.